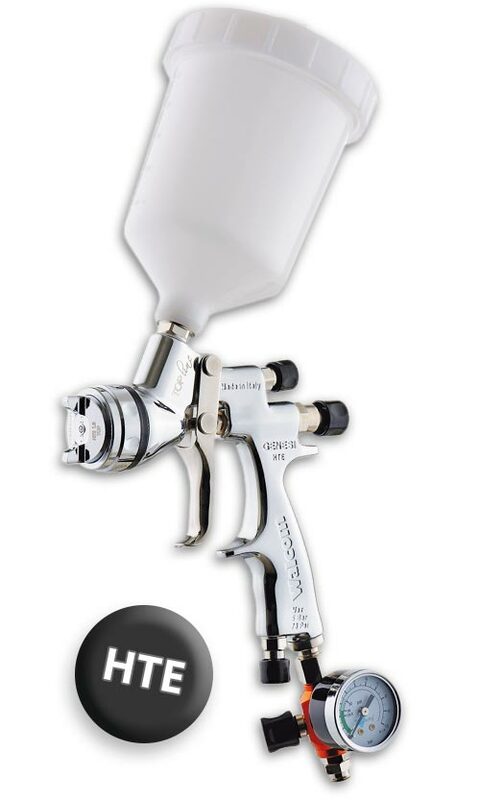 GENESI Top Line is the finishing spray gun that offers the bodywork world with a modern, reliable, efficient, high quality and ecological way of working. 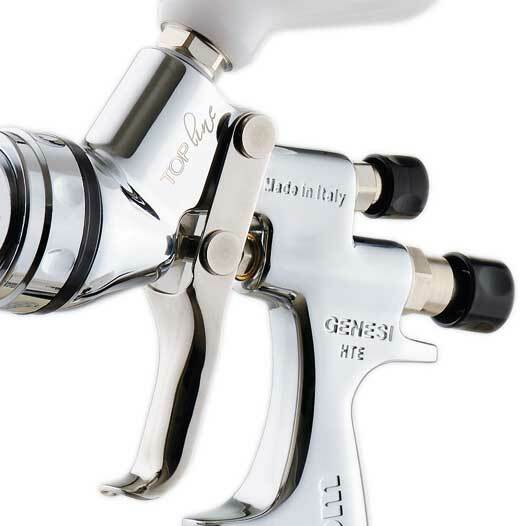 The GENESI’S features have allowed the Walcom® brand to further assert itself on the increasingly more difficult international bodywork market as as one of the best spray guns available in the world. 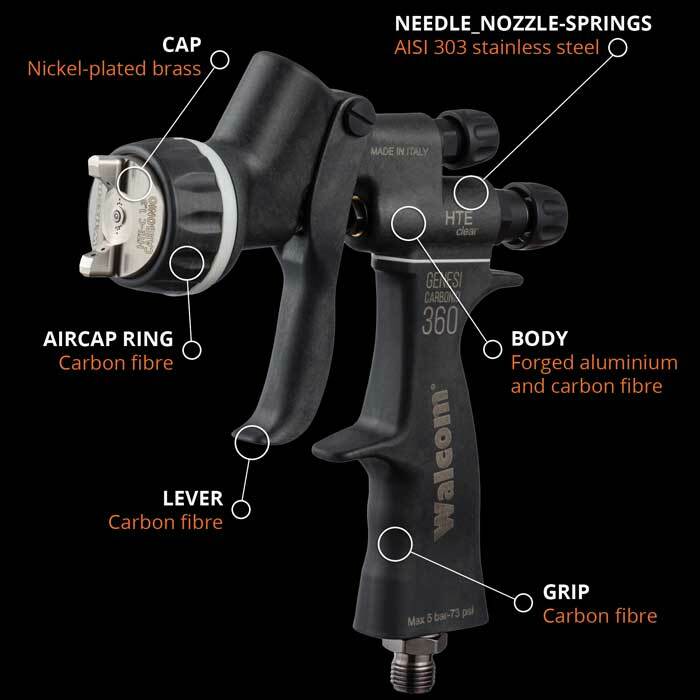 Professionals require new application forms, new features, new performance and the GENESI Top Line range of guns deliver all of these necessities and more… GENESI “Top Line” spray guns incorporate everything a professional needs and is looking for; performance, fast application, product savings, atomisation, reliability, serviceability, reduced air consumption and versatile set-up options. 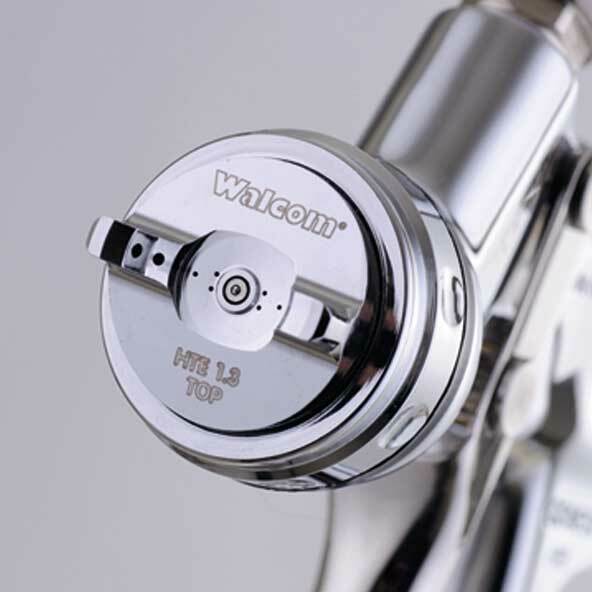 The Walcom GENESI range are presented with beautiful Italian chrome styling, with accurate and efficient performance. Available in GEO, H.T.E. and HVLP versions, the GENESI range are suitable for any user or paint system and are built to last a lifetime. 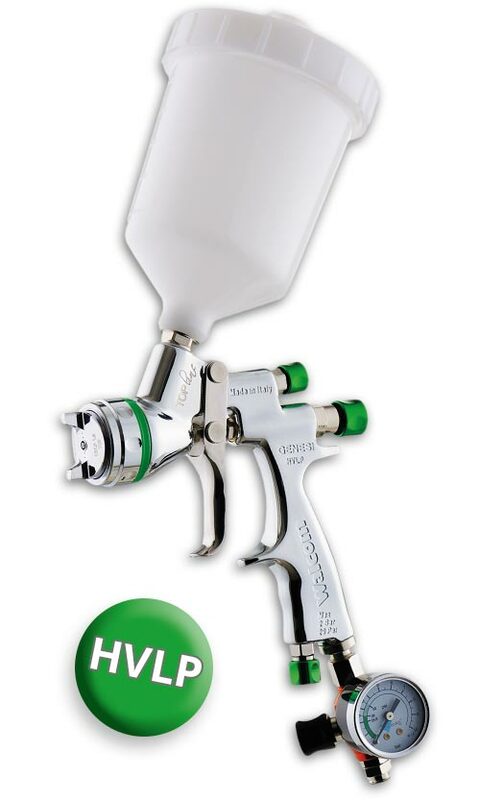 A true professionals spray gun. 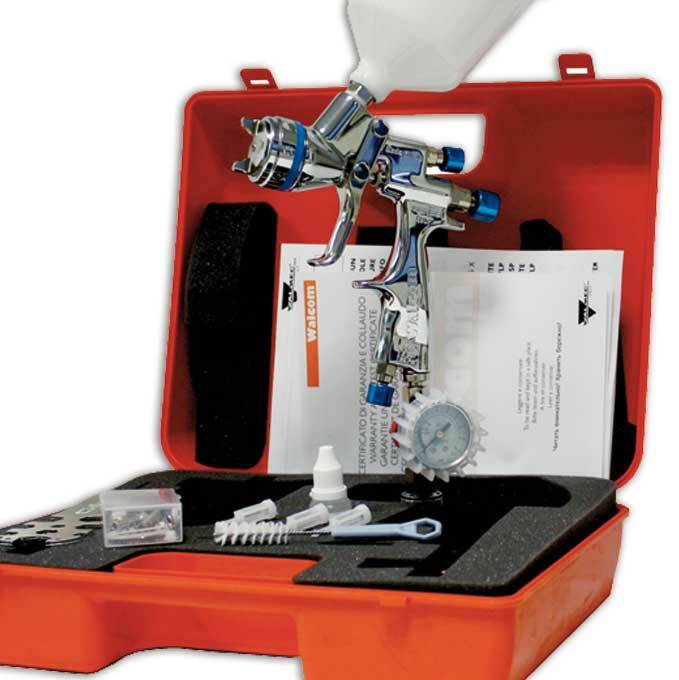 GENESI “Top Line” Case contents: GENESI Topline Gun, 600ml Pot, Regulator, Rebuild Kit, Gun Spanner, Cleaning Brush, 3x Filters, Oil Bottle & Tough plastic case. 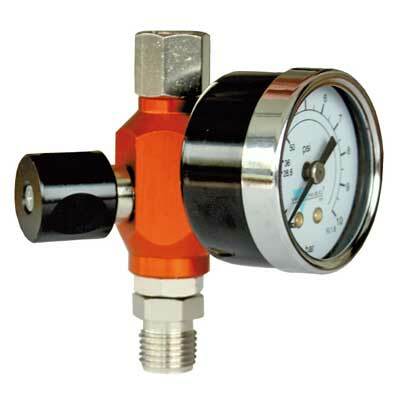 The Topline spray guns are constructed with air valve and needle on a single axis to provide higher performance and greater.